Outside, Bruno Saint-Jalmes’ attention is grabbed first of all by the vitality of the sculptural yet fluid form of the body. The new Renault Espace is an impressive automobile. It’s a large sculpted shape with a palpable strength. The body styling innovates through the absence of flat sides and through its aircraft-style profile. The aviation analogy continues in the rear quarter-window pillar designed in the shape of an airplane tail. The new Espace exudes a powerful road-hugging presence, with forthright shoulders, a muscular rear and horizontally flowing lines. The front end clearly expresses the Renault brand DNA. The details are handled meticulously, including the full-LED light signature front and rear. I also like the chrome detailing. The new model makes a clean break with Espace IV in terms of styling. Outside, the new Espace makes a further leap forward, expressing the brand’s innovation and ability to “invent shapes”. Inside, the high-set, comfortable driving position is particularly welcoming. That feeling is confirmed by a light-embracing windscreen that extends rearwards into a transparent roof. It is quite simply immense. Appraising the interior, Bruno Saint-Jalmes is struck by the quality of the door panel alignment with the dashboard. 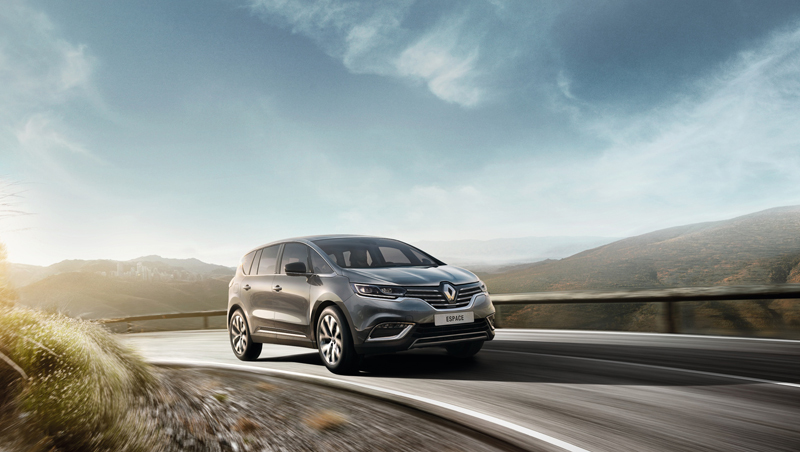 This famously difficult task was carried off with effortless ease on the new Renault Espace. The Head of Creative Design and Concepts at Airbus notes a strong synergy between the exterior and interior. His attention is drawn to the light ambience and detailing. Light is used in the cabin to enhance the perception of space and comfort and amplify the feeling of ease and lightness. The same approach is used on board the Airbus A350. Bruno Saint-Jalmes also appreciates the stylistic and technological prowess of the floating console, which frees up space and conveys a sense of lightness. We are in the future of the Espace.